Super friendly service and helpful project advice. I rented an auger, post hole digger and concrete mixer here and the staff couldn’t have been nicer. The equipment was clean and in good condition. Best tool Rental in Arlington! Love this place. They generally have what you need, the prices are fair, which helps you avoid buying weird equipment that you'll only use once or twice, and they're very friendly. A couple of weeks ago I needed a metal detector, and they were in the process of of replacing their only one. I needed it in a hurry, and they called the moment it came in. We figured out how to use it together, and I was able to get the job done in no time. Terrific equipment, terrific service, terrific prices. An asset to the community. We will continue to use Rental Works for all of our project needs. The service and inventory are great! I have rented equipment there for 20 years now, and always the important factors are above average, if not well above. They know what they're doing and understand like Selfridge that the customer drives the business therefore comes 1st! I've recommended them to many neighbors over the years. This place is a real standout among rental options. Most are very unfriendly and difficult to get any help from. 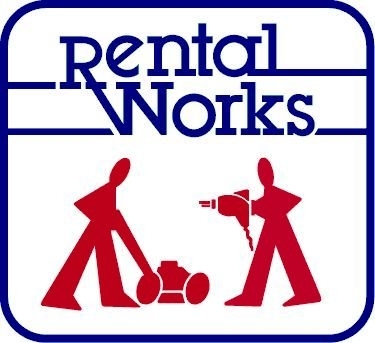 Rental Works has always been a pleasure to deal with and will remain my #1 option. Cool place, very helpful service/support!